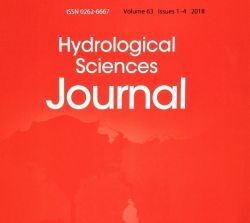 We confirm that the submission deadline for the Hydrological Sciences Journal Special Issue on 'Hydrological Data: Opportunities and Barriers' has been extended to 31st March 2019. Data issues were, are, and will remain a core component of the hydrological sciences. Their character and influence on the way the discipline is practiced may vary through time, but their intrinsic role in understanding and managing water resources, as well as in developing sound water policies dictates their continuing importance. Whereas the primary data issues during much of the twentieth century focused on establishing and maintaining in situ observing networks to provide a sound basis for understanding and predicting the quantity and quality of the resource, both on the surface and in the ground, today’s concern encompasses a much broader suite of problems. To elevate and expand the discussion of the critical role of data in all aspects of the hydrological sciences, a Special Issue of the Hydrological Sciences Journal entitled “Hydrological Data: Opportunities and Barriers” is being planned for publication. Articles are currently being sought on all aspects of data in hydrology; from traditional concerns related to networks to more contemporary thinking about simple, low cost innovations in instrumentation, data management and exchange protocols, and big data, as in large-scale multi-model ensembles spanning long time periods. Numerous emerging activities and topics provide a substantial source of potential contributions. We strongly encourage potential authors to contact first the Managing Guest Editor, Christophe Cudennec to inquire about the suitability of their manuscript and about any innovative concept.